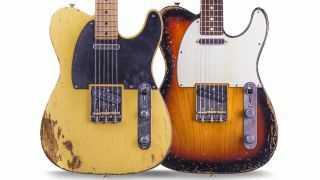 Xotic has announced the California Classic XTC Series, a range of USA-built, vintage-inspired T-type guitars. The models offer ash or weight-relieved alder bodies, with a thin nitro finish and option of light, medium, heavy and super-heavy ageing. 11 finishes are available, plus nine premium colours and the option of a matching colour headstock. All guitars feature roasted flame maple necks, coated with natural oil finishes; maple and rosewood fingerboard options are also available, as are 9.5” or 12” radii. Xotic’s Raw Vintage USA TE pickups promise “fat mid-range and sparkling highs”, tweaked via one volume, one tone and a three-way selector switch. 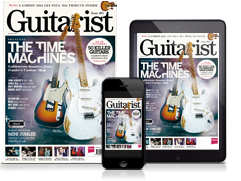 Other features include a custom Xotic bridge with three-saddle Raw Vintage Brass setup; Gotoh Locking Vintage tuners; Jescar Jumbo, Medium-Jumbo and Tall-Narrow options and 5 different pickguard options. The XTC series is now available, starting at $2,500 - see Xotic for more info.